Given the success of ‘Melissa’, there was no reason to change the slickly produced ‘M.O.R.’ (middle of the road) formula, resulting in a further shift from the individual creativity of her early material. Hence 1976’s follow up album ‘Better Days & Happy Endings’ (US#24) featured more of the same lushly recorded ballads, with Manchester again having a hand in writing most of the tracks. ‘Just You And I’ sounded a bit like a reprise of ‘Bridge Over Trouble Water’, and gave Manchester another U.S. top 30 hit (#27), as well as spawning two more minor hits in ‘Rescue Me’ (US#78), and ‘Better Days’ (US#71 - later recorded by Captain & Tennille - see future post). Manchester’s next album was the uninspiring ‘Help Is On Its Way’ (US#60), released late in 1976. The album featured more of the same, with an even greater reliance on third party written songs, none of which matched the standard of Manchester’s earlier work. 1977’s ‘Singin’…’ (US#60) was a collection of popular music standards, and perhaps a couple of misjudged covers of other artist’s songs, including the Beach Boys’ classic ‘The Warmth Of The Sun’ - cover that song at your peril. By 1978 Melissa Manchester’s career had all but stalled, at least in commercial terms, and was in need of another big hit. Mid year she scored that hit, albeit as a songwriter, with the U.S. #5 ‘Whenever I Call You Friend’, co-written by singer Kenny Loggins, and co-performed by Loggins with Fleetwood Mac’s Stevie Nicks. Perhaps the success of the song gave Manchester the confidence to strike back with her own top 10 single. The song ‘Don’t Cry Out Loud’ was written by Peter Allen, Marvin Hamlisch, and Carole Bayer Sager, and had been a #79 R&B hit on the U.S. charts during 1977 for The Moments (under the title ‘We Don’t Cry Out Loud’). Manchester’s heartfelt take on the song was every bit deserving of a top 10 outcome, and that’s what it got…well just. ‘Don’t Cry Out Loud’ hit #10 on the U.S. charts in late ‘78 (OZ#57), and provided the impetus behind the launch of the album of the same name in early ‘79 (US#33/OZ#75). 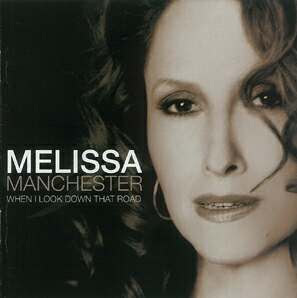 Unlike her previous couple of albums, Melissa Manchester took a more active role in the song writing side of the project, augmented by a few astutely selected covers. 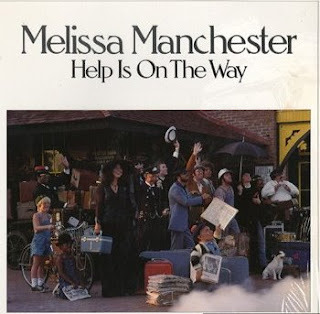 1979’s ‘Melissa Manchester’ (US#63/OZ#93) once more featured a mix of Manchester originals and covers. She delivered her own version of ‘Whenever I Call You Friend’, but the single releases, including ‘Pretty Girls’ (US#39) and ‘Fire In The Morning’ (US#32), were written by third parties. 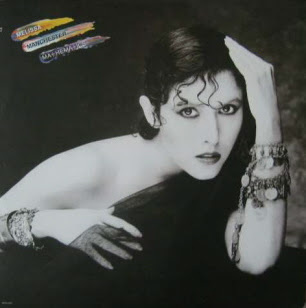 In 1980 Melissa Manchester achieved a rare feat, by being the performer behind two Academy Award nominated songs in the same year, ‘Through The Eyes Of Love’ and ‘I’ll Never Say Goodbye’, neither of which were included on the poorly received album ‘For The Working Girl’ (US#68). The album yielded only one minor hit in the Manchester co-written ‘Lovers After All’ (US#54), performed as a duet with Peabo Bryson. Aside from her Oscar nominations, the previous four years hadn’t gone exactly to plan for Melissa Manchester, and it appears that song selection (at least on the part of the label) played a big part in that. Her next single though would become the biggest selling song of her career. ‘You Should Hear How She Talks About You’ was up-tempo pop music at its best, though a million miles away from the material Manchester had forged her reputation on. Co-written by Dean Pitchford (‘Footloose’ etc. ), the song debuted on the U.S. charts during May of ‘82, and rocketed to #5, soon after following suit in Australia (#4). ‘You Should Hear How She Talks About You’ also earned Manchester her first Grammy Award for ‘Best Female Pop Vocal Performance’. Unfortunately it was the only track from the album ‘Hey Ricky’ (US#19/OZ#33), produced by Arif Mardin, to attract any interest as a single, with the rest of the set receiving mixed reviews. In relative terms, 1983’s album ‘Emergency’ (US#135) completely flat lined, and found Manchester light years away from her comfort zone, consigned to providing vocal accompaniment to a bunch of formulaic synth-pop tracks. It was Manchester’s final album for the Arista label, bringing an end to a ten year association, which had its ups and downs - pity it ended on such a down. 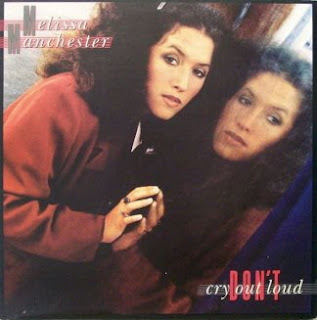 Actually 1983 wasn’t a total write-off in commercial terms for Melissa Manchester, with a couple of minor hit singles in ‘My Boyfriend’s Back’ (OZ#48 - cover of the old Angels’ hit), and ‘Nice Girls’ (US#42). Manchester moved to MCA for her ‘Mathematics’, the album that is, but neither title track (US#74), nor album (US#144), managed to reignite Manchester’s commercial fortunes. During the second half of the 80s, Melissa Manchester turned her creative talents to script writing and acting, in between recording projects. She appeared in the Bette Midler star piece ‘For The Boys’, and on the popular (though I don’t know why) TV series ‘Blossom’. Her 1989 album ‘Tribute’ was a pleasant selection of popular music standards, including ‘Over The Rainbow’ and ‘La Vie en Rose’, but it appeared that Melissa Manchester’s music muse had moved out, temporarily at least. She released one album of original material on the Atlantic label during 1995. ‘If My Heart Had Wings’, featured plenty of sweeping ballads, in the Celine Dion tradition, but still represented a shift from her work of twenty years previous. A shift to the minor label Koch, seemed to free up the creative energies of Manchester for her latest album, 2004’s ‘When I Look Down That Road’.